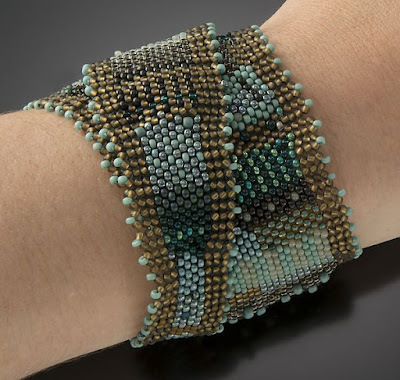 Hex seed beads have a six-sided cylindrical shape. I believe they are produced by almost all seed beads manufacturers, but so far I've only used hex seed beads from Matsuno, Miyuki and Toho. 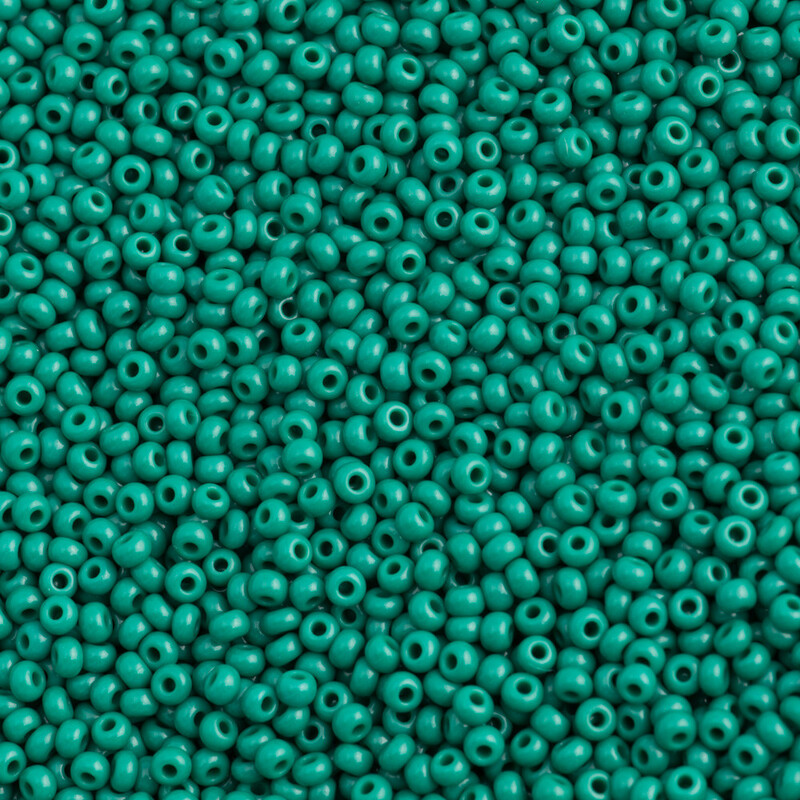 Like the cylinder seed beads, the hex beads have a hole larger than the round seed beads. Their only problem is that their cut at the bottom and at the top is not clean. And this irregular cut lets the beads with sharp and irregular edges that may damage your thread. 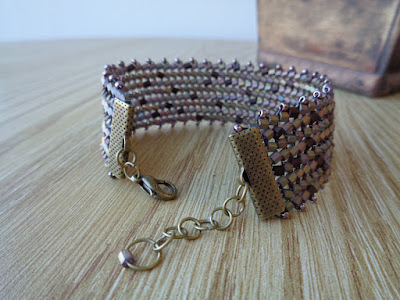 But despite this problem, I really like the hex seed beads - especially the size 8/0. They are great to create texture on your beadwork. 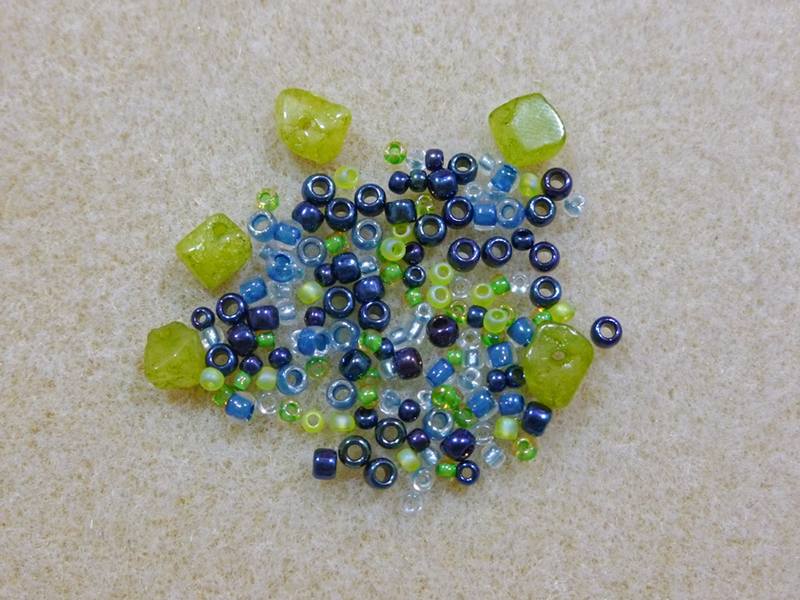 I do am more careful than usual when working with these beads (for example, I pull the thread more slowly to avoid rubbing it against the sharp edges and I don't use my tension too tight) and I use strong threads with them. 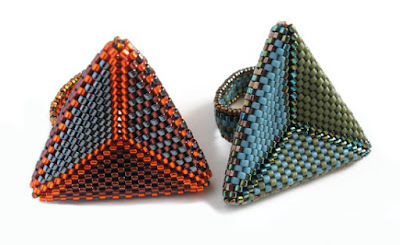 Their size is classified in the same way the round seed beads are, but the hex seed beads are bigger than the round and cylinder beads. 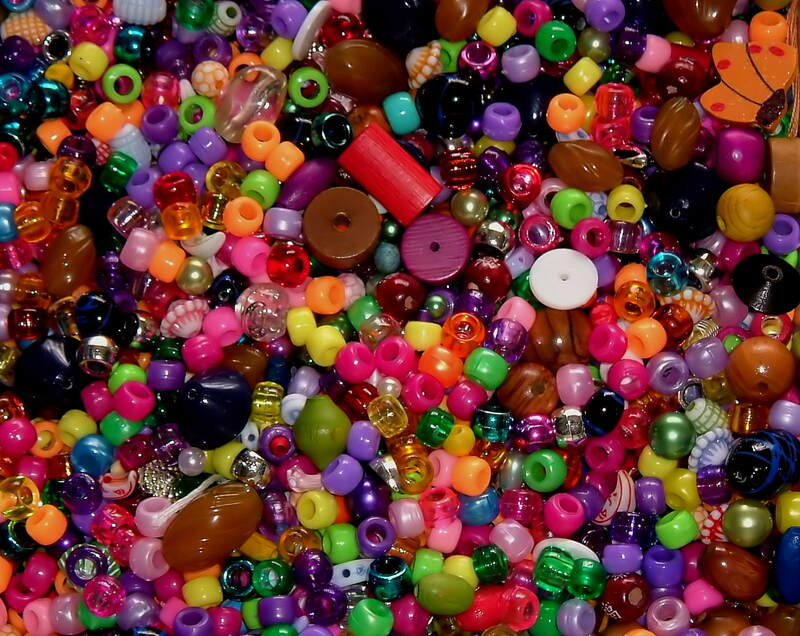 The most common sizes are: 15/0, 11/0, 8/0 and 6/0 (remember that the bigger the number, the smaller the bead). 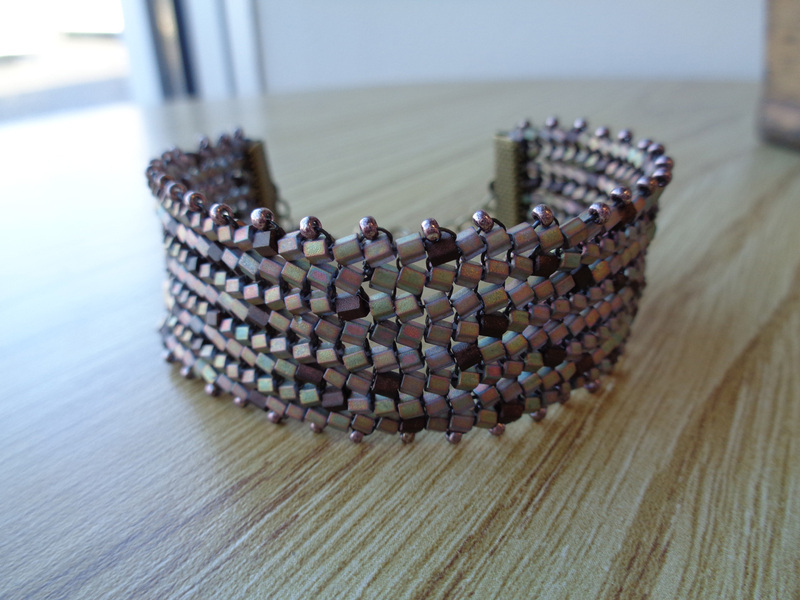 I took a picture to show you the difference in the size between the hex seed beads and the round and cylinder beads. 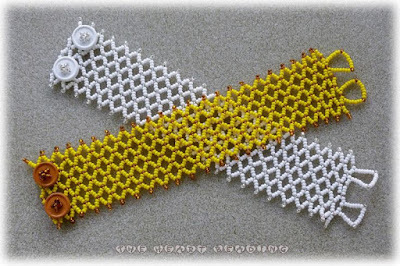 In the first needle you see ten hex seed beads from Toho. 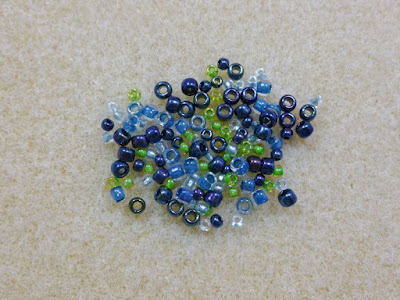 In the second needle there are ten round seed beads from Toho. And in the third needle there are ten delica beads. 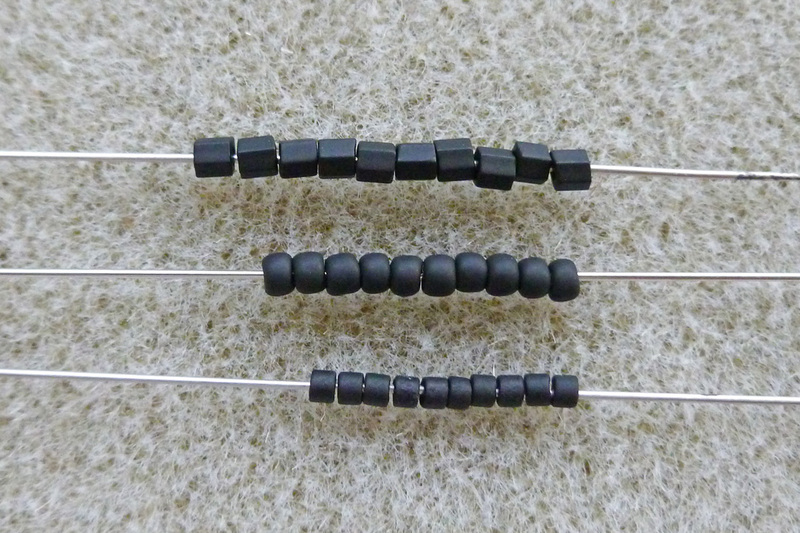 All the beads are size 11/0 and they're in the same color: black matte. 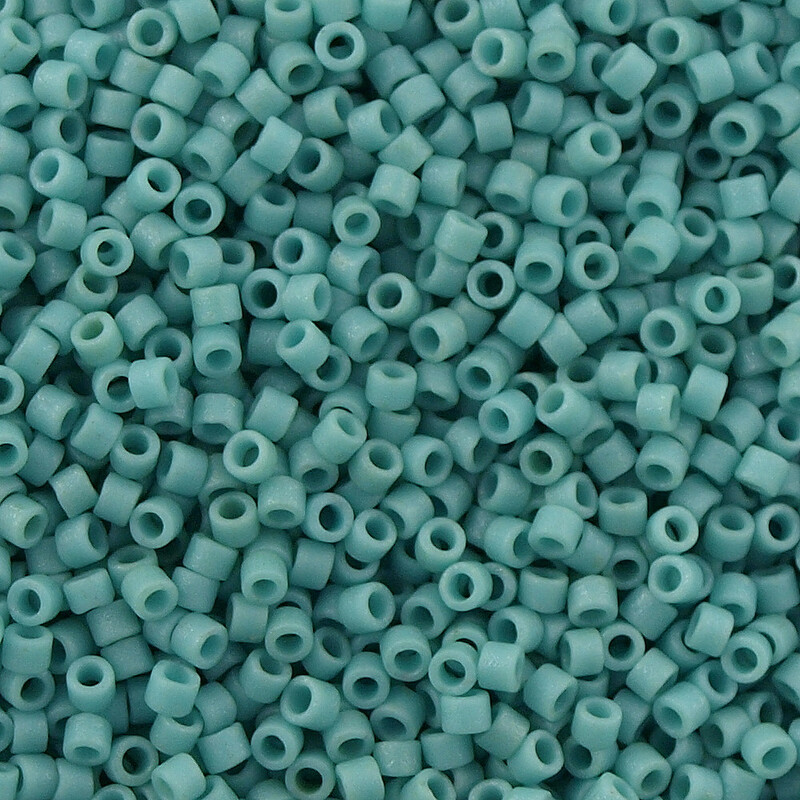 The hex seed beads are sold in packages or tubes ranging from 8 to 30 grams. 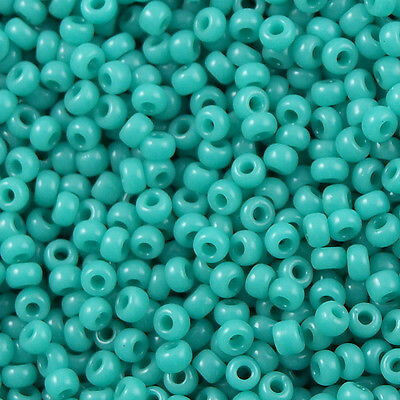 The price is similar to the price of the round seed beads and it vary with the color and finish. 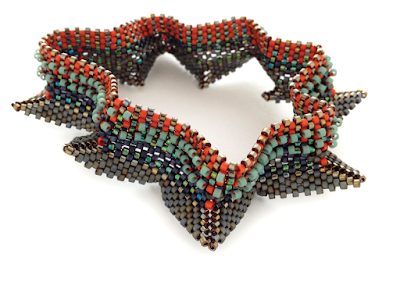 The cylinder seed beads are made of glass and they have a geometric cylinder shape, resembling tiny little tubes. They are more consistent in size and shape, and their hole is larger than the round seed beads. 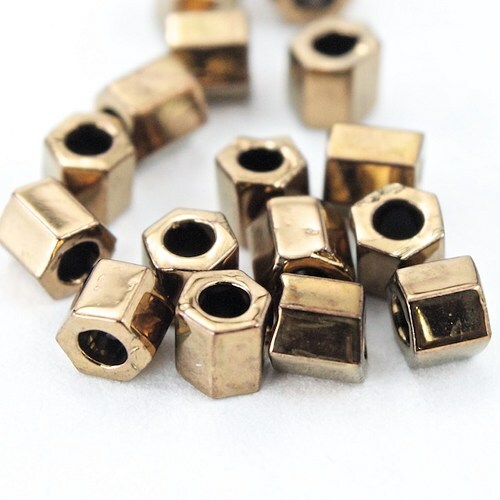 These qualities make the cylindrical beads excellent for projects where precision is the key. 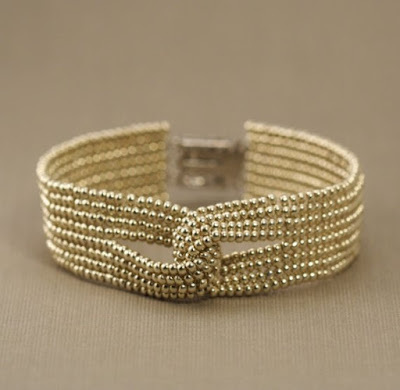 They are widely used in techniques like peyote stitch, brick stitch and loom bead weaving. 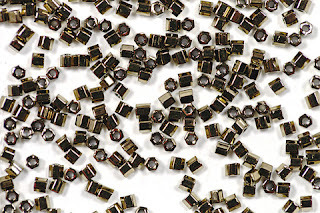 The two main manufacturers are Miuki and Toho. 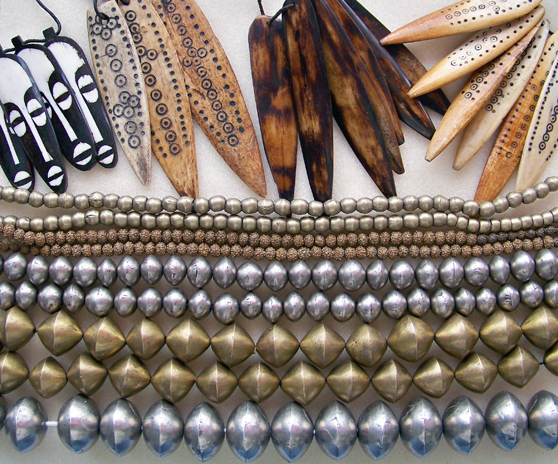 The cylindrical beads produced by Miyuki are called Delica beads. Toho has two lines: Treasures (used to be called "Antiques") and Aiko - between the two of them, Aiko is the best one. Their size is also defined by a number, in the same way the round seed beads are: 15/0, 11/0, etc. 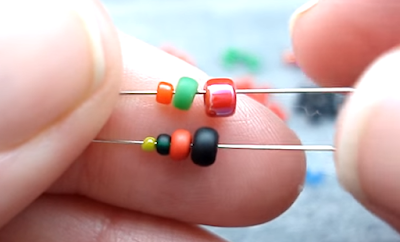 The higher the number, the smaller the size. However the definition of the cylinder 11/0 for example doesn't mean that eleven beads aligned will measure one inch. 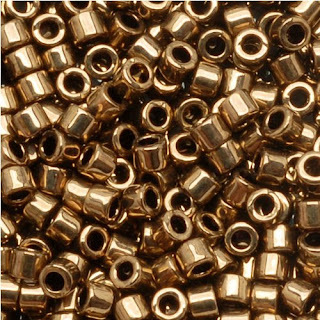 Actually, because the cylinder beads are smaller than the round seed beads, in one inch will fit 17 to 22 cylinder seed beads size 11/0. It will depend on the brand. 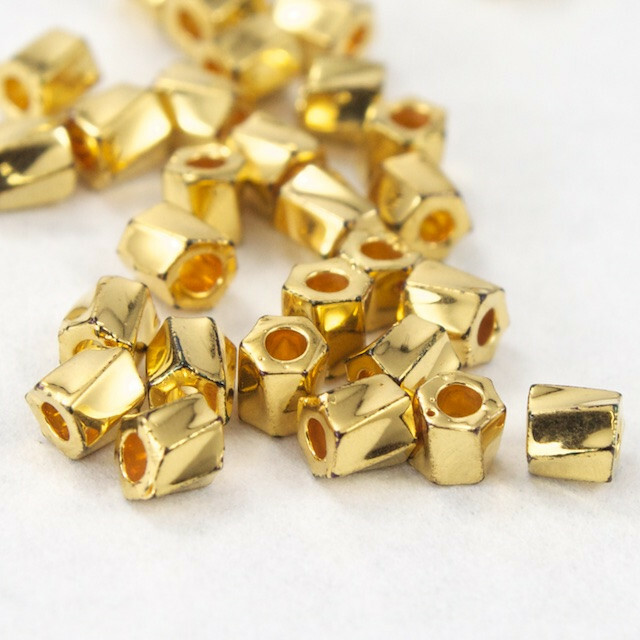 The Delica beads from Miyuki are available in the sizes 15/0, 10/0, 11/0 and 8/0. The Treasure seed beads from Toho are available only in sizes 11/0 and 8/0. 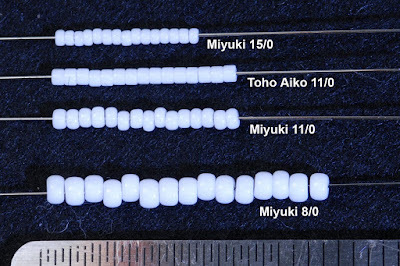 And the Aiko has only one size: 10.5/0. 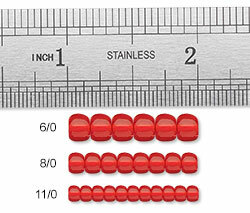 Yes, that's right - they're a bit larger than the cylinder size 11/0 and smaller than the 10/0. 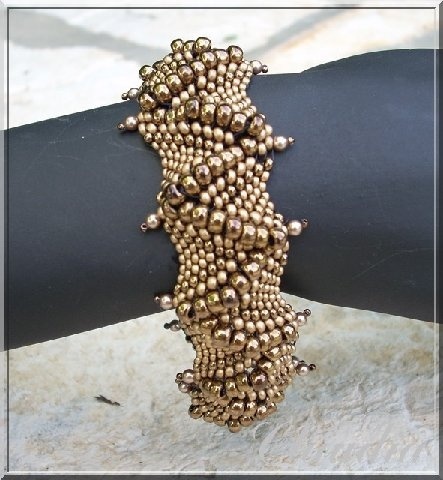 And due to this unusual size, you may not be able to combine Aikos and Delicas or Aikos and Treasures in a same project. Due to their high quality, the cylinder seed beads are more expansive than the other seed beads. 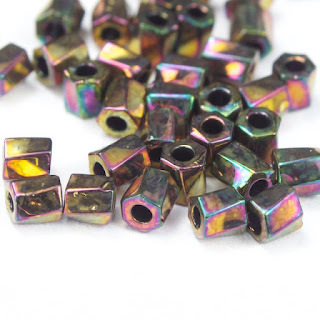 They are usually sold in small packages or tubes of 5 to 10 grams. But in some stores like auracrystals and shipwreckbeads it's possible to buy in larger quantities. 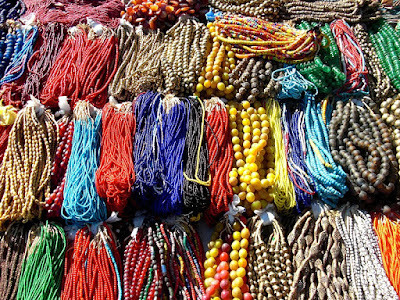 Well, to start the year I want to share with you the first part of an article I'm writing for those of you who have never heard about bead weaving, but wish to learn more about it. In this article I'll explain about the most common types of seed beads and their manufacturers. If you want to learn more about other materials we use in bead weaving, please check my other articles HERE. The beads we use for bead weaving can be made of any material (paper, plastic, wood, glass, shell, gemstones…) and can have any form and size. They all have a hole where you can pass a thread, cord or wire. 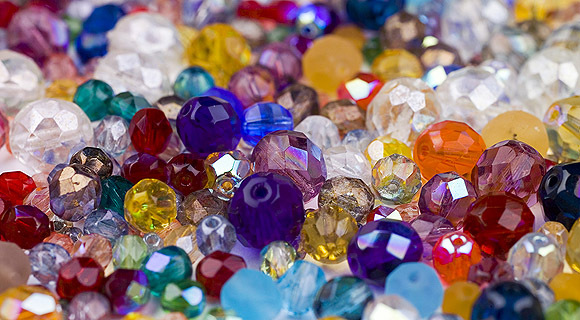 But today the countries that stand out in the production of beads are: Japan with the top three market manufacturers: Matsuno, Miyuki and Toho; Czech Republic with the companies Preciosa (it was called Jablonex in the past), CzechMates and many others; Austria - with the Swarovski company; and China. 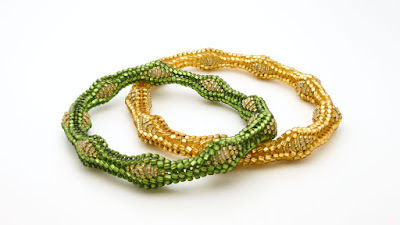 And before I start to explain about the types of seed beads, I want to make clear for you the difference between the terms "beads" and "seed beads". 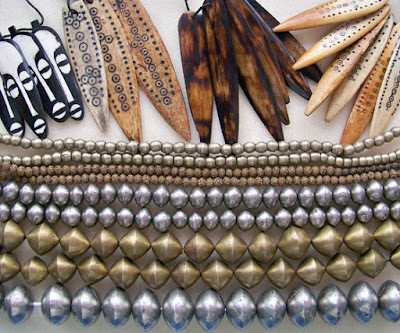 "Beads" refers to beads of any type and any size. 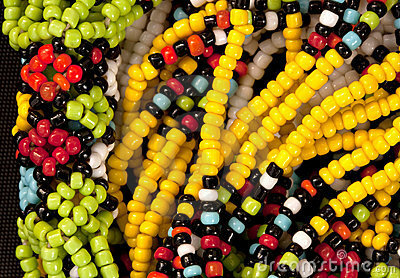 "Seed beads" is a term used to identify the small beads, like the ones in the picture below. 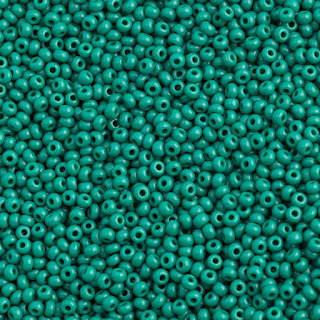 The most common type of seed the beads is round. They are also called rocailles in some places. Their format may vary from one manufacturer to another. 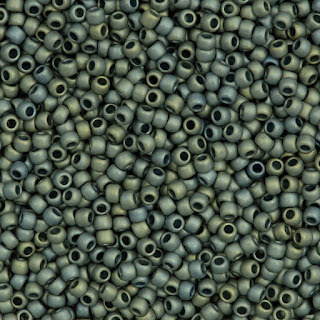 For example, the Czech round seed beads are a bit more flat, resembling a donut shape. On the other hand, japanese seed beads are more close to the cylindrical shape. In the picture below I found on Linda Kandy website, you can see the difference in the format of the seed beads from each manufacturer. They are all the same size and were woven in a small sample of peyote stitch. Another thing you may notice is that the beads from Toho and Miyuki are more regular in size and shape than the other ones. 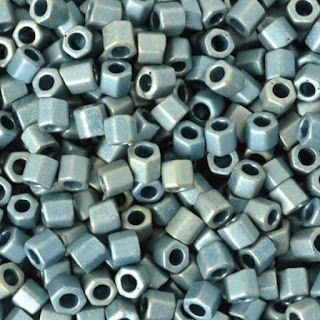 That's why the beads from these two brands are more expensive. 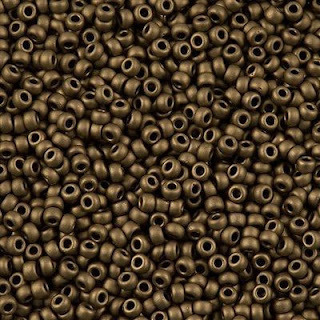 The picture below is a print screen I took from this video on Youtube. 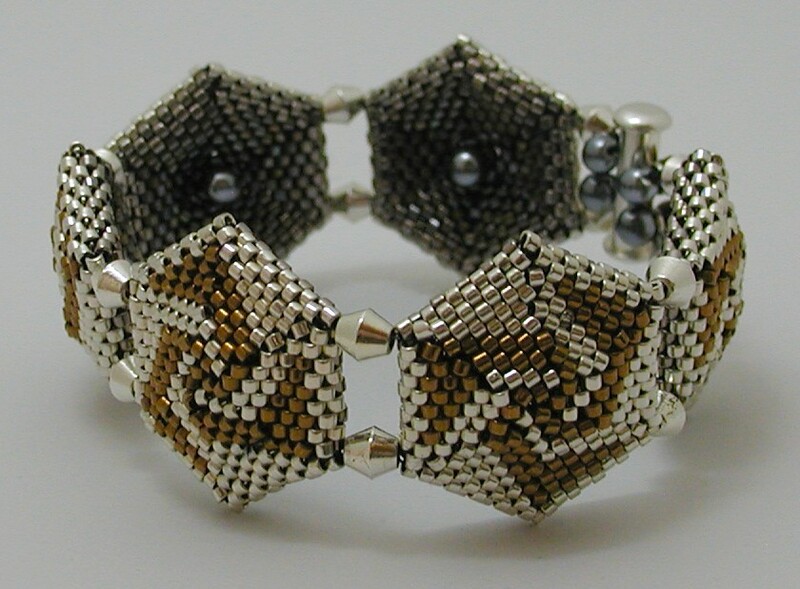 I chose it because you can see better the difference between the Czech and Japanese seed beads. 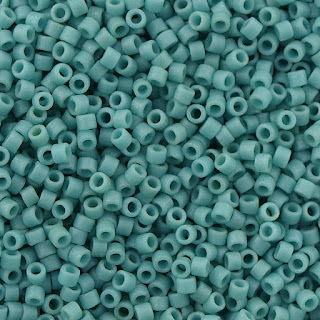 In the upper needle you see Japanese seed beads in sizes 11/0, 8/0 and 6/0 (from smallest to largest). 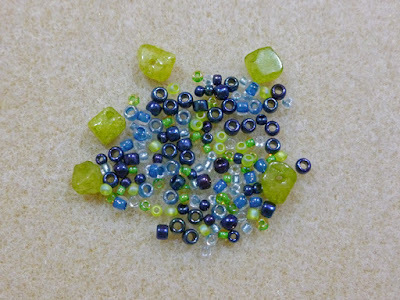 In the needle at the bottom you see Czech seed beads in sizes 15/0, 11/0, 8/0 and 6/0 (again, from smallest to largest). 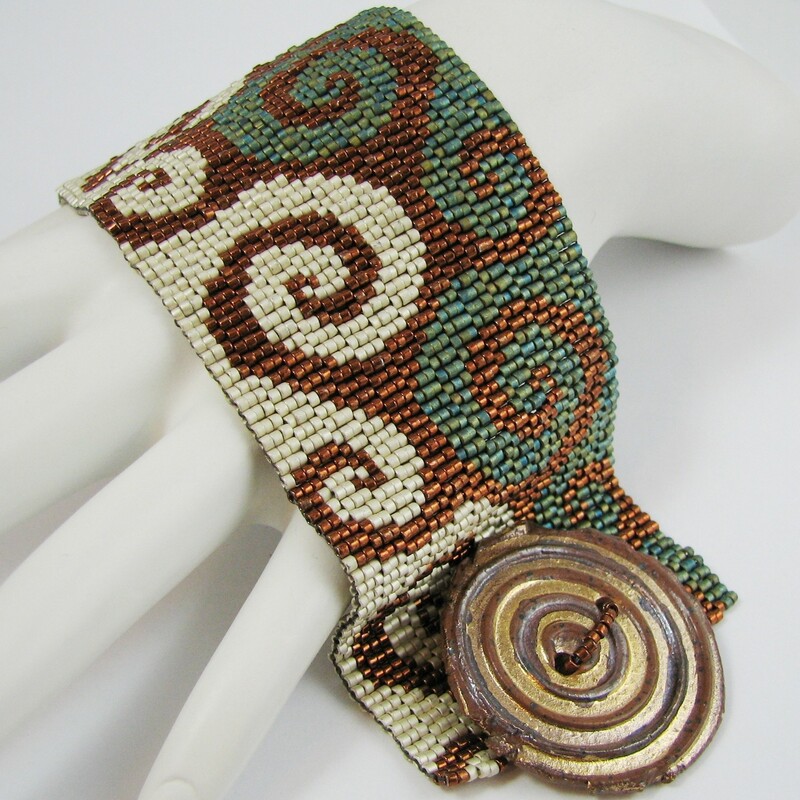 It's because of the difference in their shapes that sometimes you cannot mix them in a project. 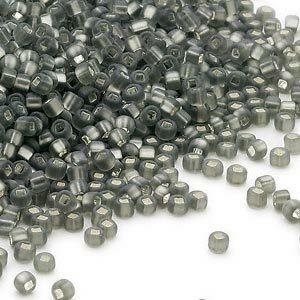 For example, when a designer specifies in a project that you need Japanese seed beads or seed beads from an specific brand, it's because the beads from other brands will not work well in the project. Another important difference that we couldn't see in the pictures is that the holes of the Czech seed beads are smaller than in Japanese seed beads. 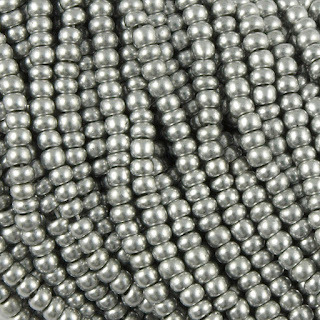 The easiest way to understand this system is keeping in mind that the larger the bead, the smaller the number. 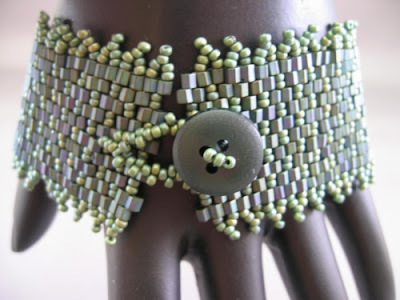 So a seed bead size 8/0 is larger than a seed bead size 11/0. 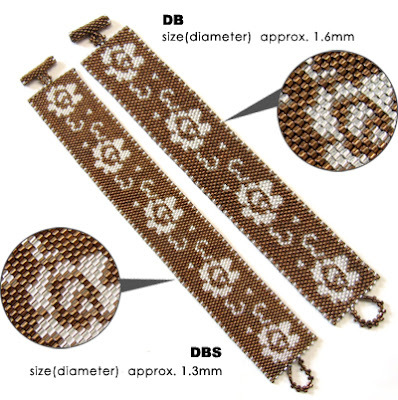 That's because the numbering is specified by the amount of seed beads that fits in the length of 1 inch. Thus the seed bead size 11/0 is identified in that way because in 1 inch (= 2.54 cm) will fit eleven seed beads of this size aligned. 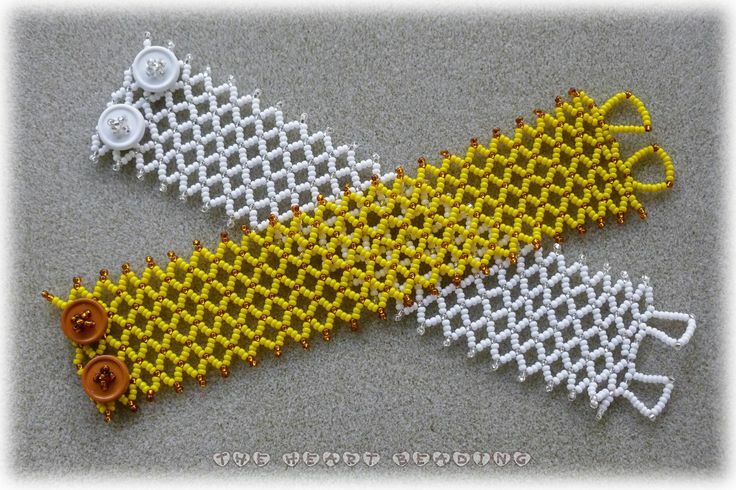 If you align seed beads size 6/0, you'll see that six beads will fit in the space of 1 inch. 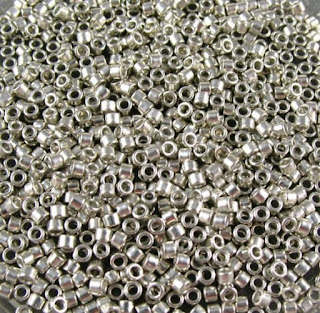 Now you can understand why the lower the number, the greater the size of the bead and vice versa. 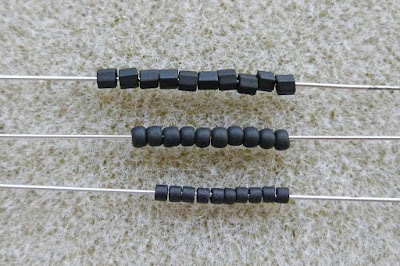 The picture below shows three different sizes of seed beads in the space of one inch. 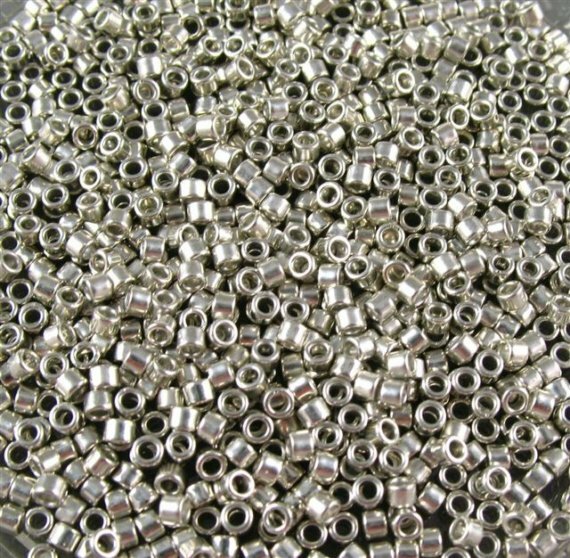 And remember that the smaller the bead, also the smaller the hole size. 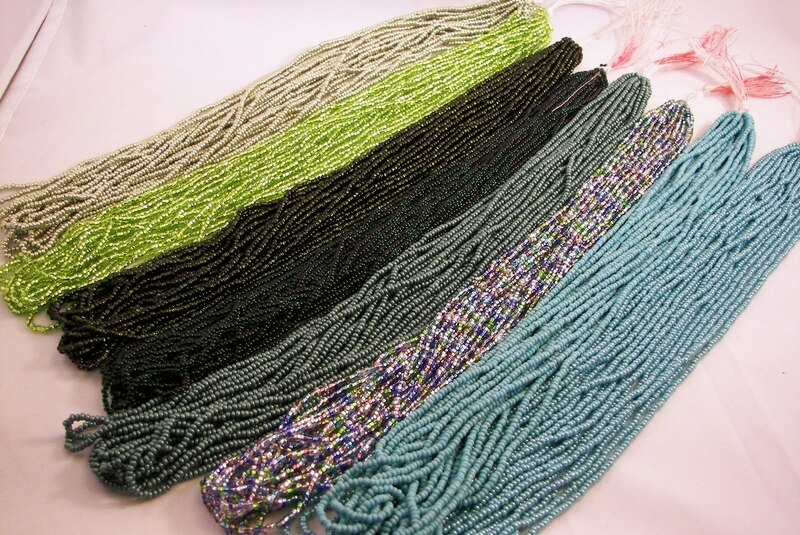 That's why it's important we have needles and threads of different sizes, like I explained in this article. 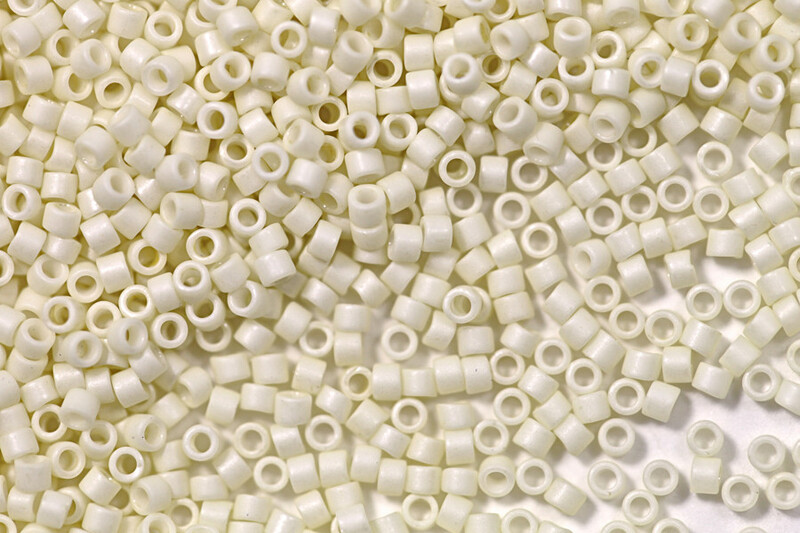 There are also round beads with square holes. 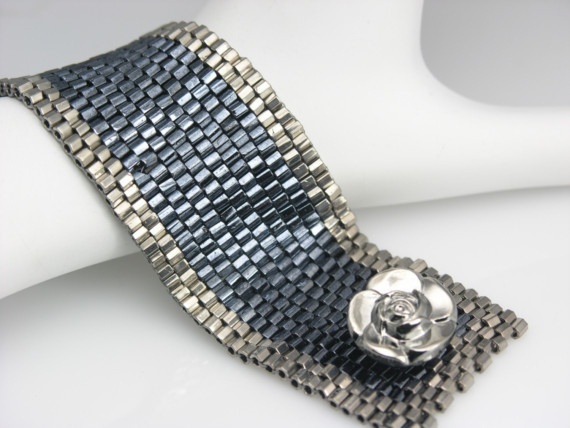 They are available in transparent colors with the hole painted in silver (silver lined finish). The square hole creates an interesting effect on the bead. 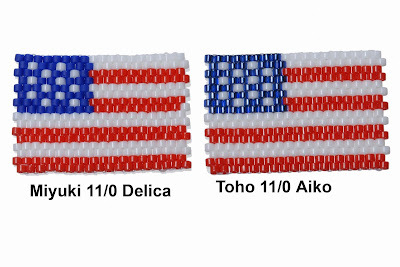 But the only manufacturer I've ever saw selling these beads is Matsuno (with the Dynamite beads). 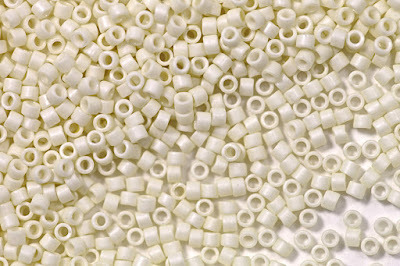 The Japanese seed beads are sold in tubes or plastic bags with 5 to 30 grams (or more). 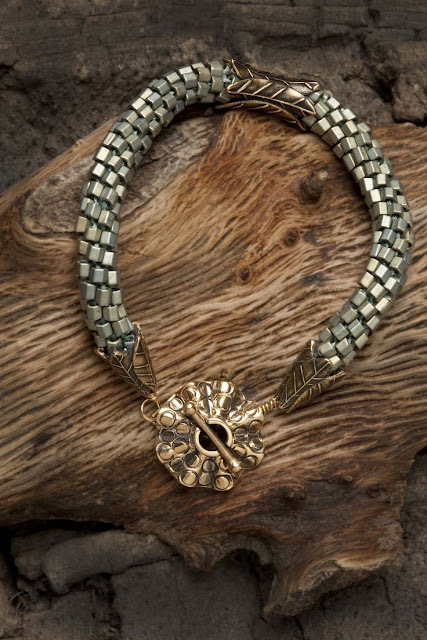 It will depend on the store. 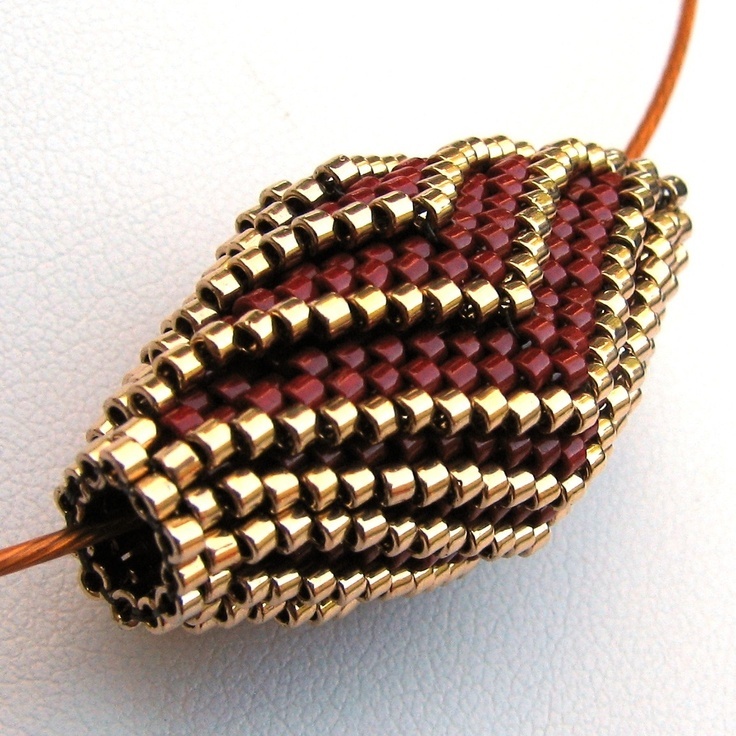 The Czech seed beads are usually sold in hanks - they come in strings, like the ones sold at beadaholique. 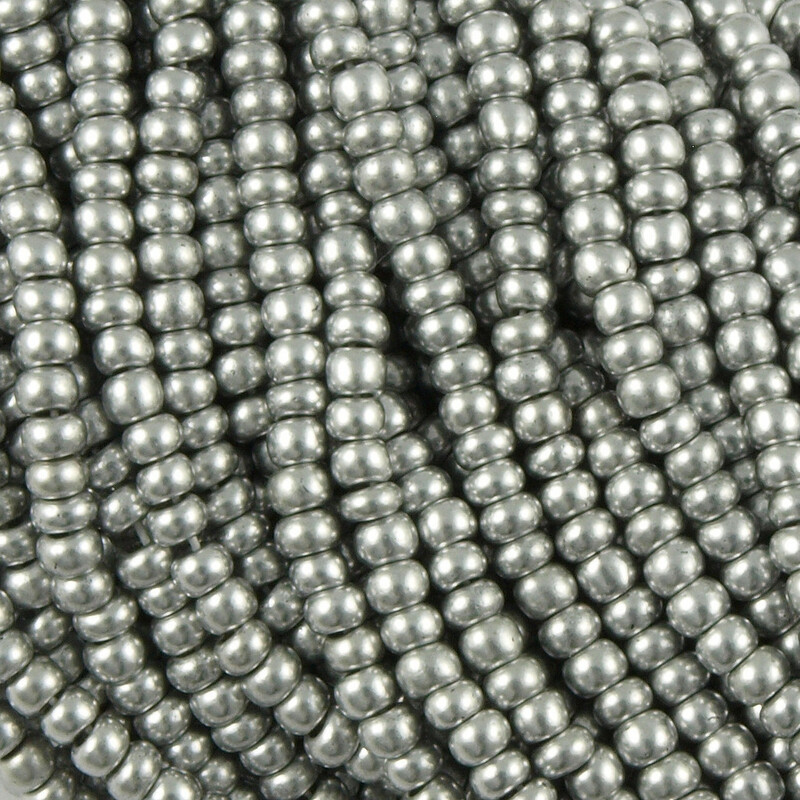 One hank has twelve strings tied together and weigh approximately 35 grams (1.3 ounce). 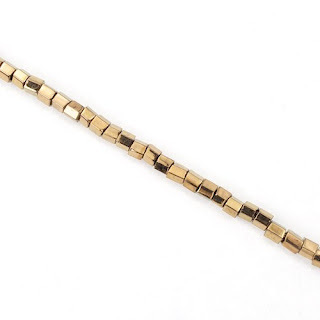 Some stores sells half a hank. 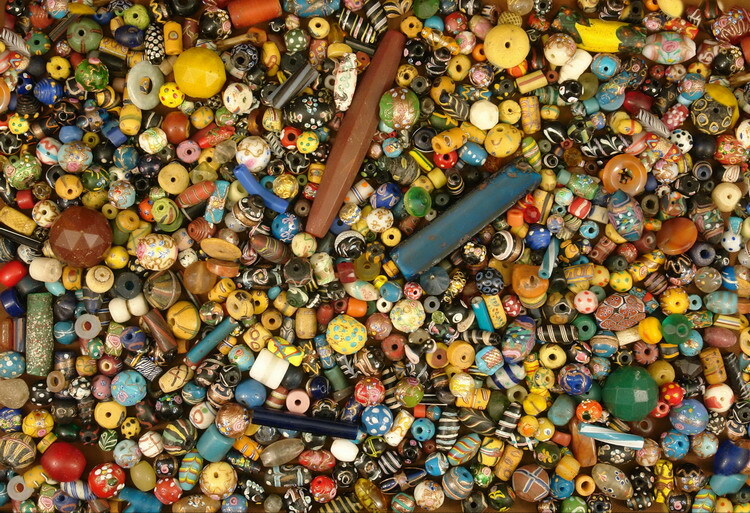 But it's getting more common for stores to sell Czech beads in grams as well. 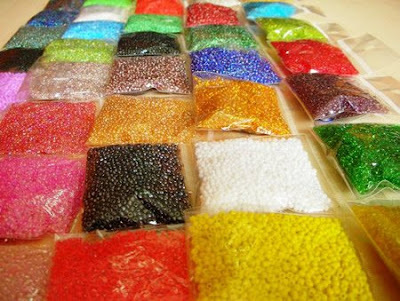 The price of seed beads varies widely according to the manufacturer, color and finish. 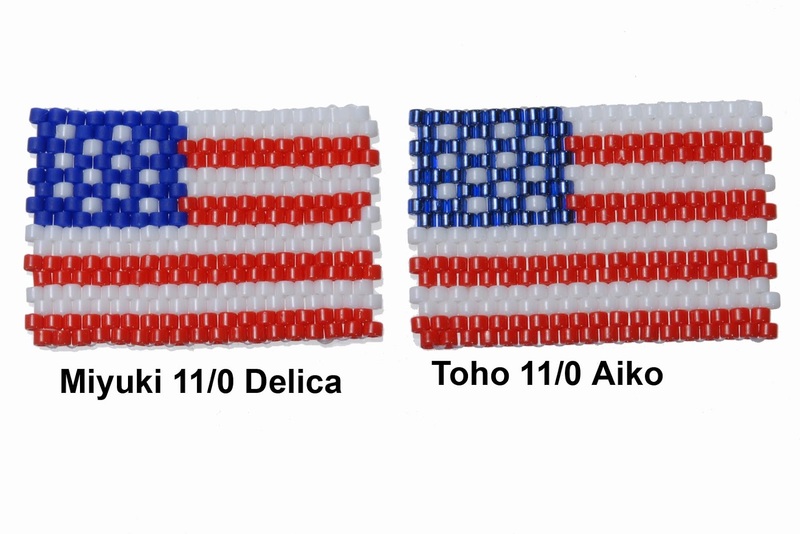 Japanese and Czech seed beads are the ones with better quality. They have a more uniform size and shape, and the colors are consistent. 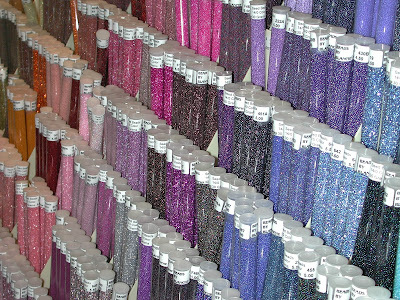 But when I say the colors are consistent I mean the color of beads from a same batch. Because in fact some colors may vary slightly from batch to batch, and that happens with all manufacturers. 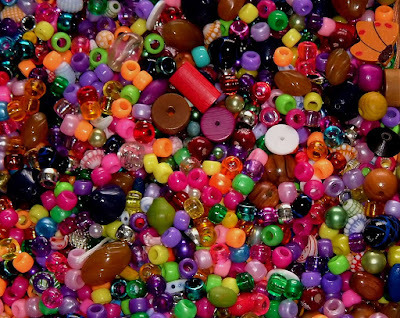 And that's why I recommend you always buy more beads than you think you will need. 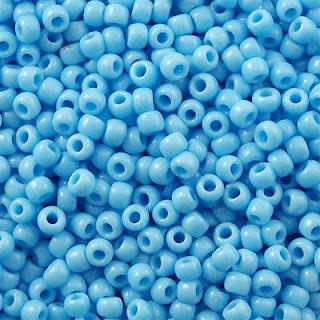 I usually like to buy at least 16 grams of seed beads because I know it's more than enough for the projects I'm used to. 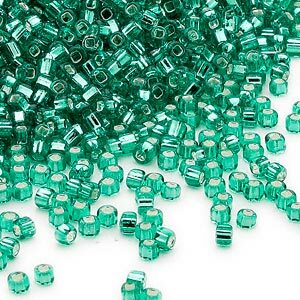 When I started learning beadwork I bought some packages of Chinese seed beads because they were very inexpensive (I remember buying 40 grams for 1 dollar). 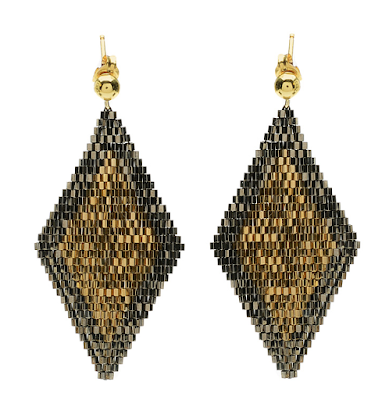 They aren't available in many colors as the Japanese or Czech seed beads. And they are way more irregular in shape and size. 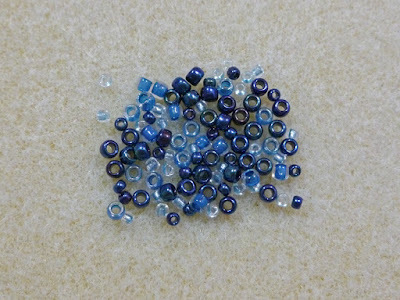 Their hole size is also irregular - there were some beads that I couldn't even pass my needle through). 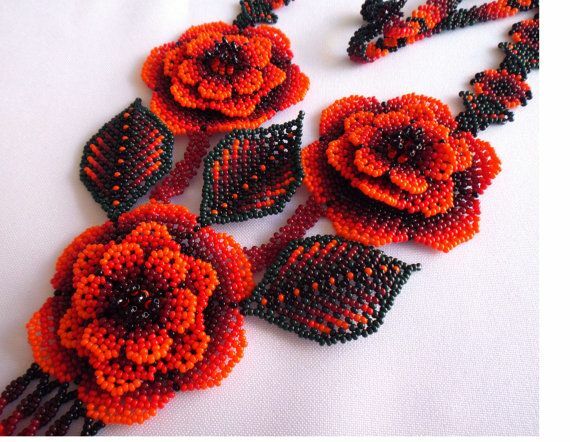 But despite those problems, I was able to create a nice crochet necklace and some bracelets in peyote using the Chinese seed beads. 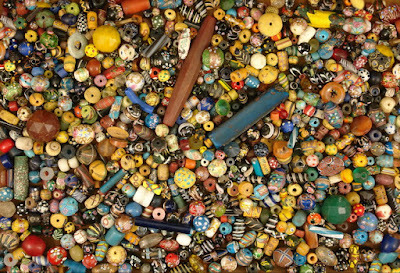 It took me a long time culling the beads though - culling consists of sorting through the beads and removing the too big or too small ones (or with another defect). 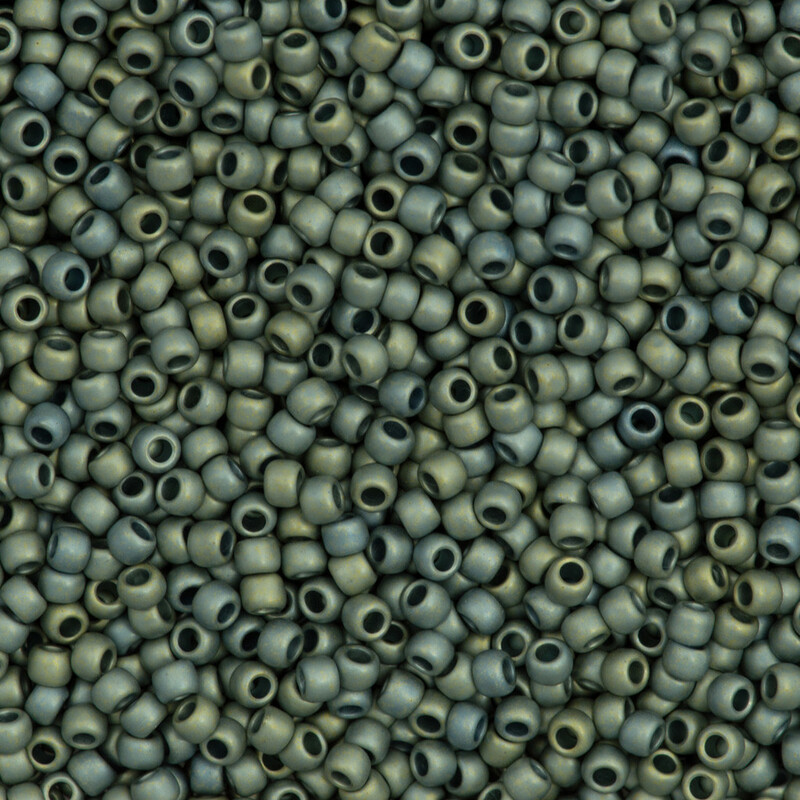 Well, I think that's all I have to talk about round seed beads. 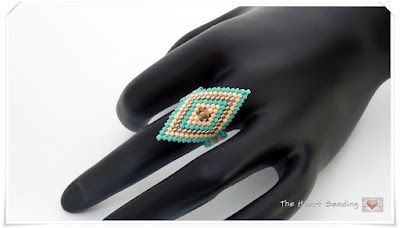 If you have any question or want to add something to this article, please feel free to use the comments section below. 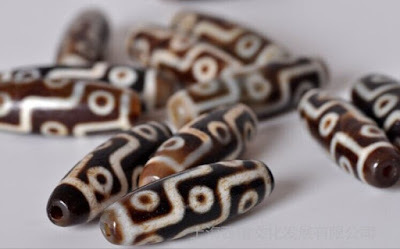 I'll continue this article in the next post, where I'll talk about cylinder beads. 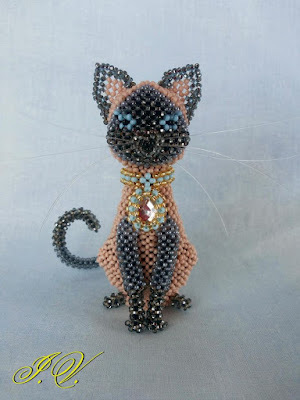 And to inspire you, I'll leave a picture of my last project with Czech seed beads and some pictures I found on Google of projects using only round seed beads.